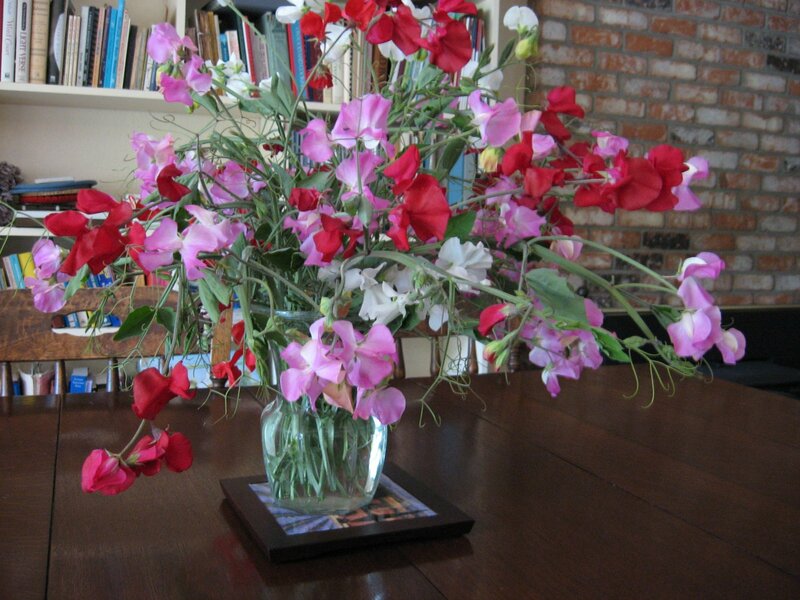 These sweet peas I grew a couple of years ago are a picture to me of my life generally, bursting with heavenly aromas and colors, but messy and hard to manage. I like your beginning very much and totally enjoyed the link to Cindy’s page. I hope this place to deposit and share will be an inspiration for you and I’m sure you’ll be a breath of fresh air in the blog-o-sphere. I hope you DO keep this blog up! Your outlook on life keeps me going through many days. Delightful! Please continue to enrich us with your posts.